The Bristol Blenheim is a British light bomber aircraft designed and built by the Bristol Aeroplane Company that was used extensively in the first two years and in some cases throughout the war Second World War. The aircraft was originally developed as a civil airliner the Type 142 in response to Lord Rothermere‘s challenge to produce the fastest commercial aircraft in Europe. The Type 142 first flew in April 1935, and the Air Ministry, impressed by its performance, ordered a modified design as the Type 142M to serve in the Royal Air Force (RAF) as a bomber. Deliveries of the newly named Blenheim to RAF squadrons commenced on the 10th of March 1937. A development of the Type 142M was the Type 149 which the Bristol Aeroplane Company named the Bolingbroke, retrospectively changed by the Air Ministry to Blenheim Mk IV and the Type 142M to the Blenheim Mk I. Fairchild Canada built the Type 149 under licence continuing to use the name Bolingbroke. As well as a bomber both the Mk I and the Mk IV were adapted as fighters by the addition of a gun pack located in the bomb bay which contained four Browning .303 machine guns. The Mk IV was used as a long range fighter which was used as a maritime patrol aircraft. Both aircraft were used as a bomber/gunnery trainer. 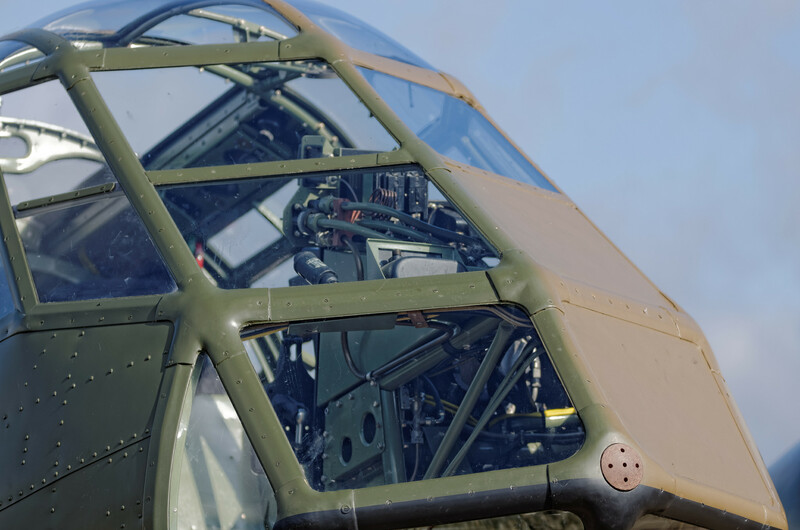 The Blenheim was one of the first British aircraft to feature an all-metal stressed-skin construction, retractable landing gear, flaps, a powered gun turret and variable-pitch propellers. The Blenheim Mk I although a bomber outran most fighters in the late 1930s but the advance in development of monoplane fighters made all bombers more vulnerable particularly if used in daylight operations, though it proved successful as a night fighter. The Blenheim was successful in its bombing role, but suffered heavy losses due to the roles, daylight, unescorted, maritime. Both Blenheim Mk I’s and Mk IV’s were also used by a wide range of overseas operators, being Licence built in Yugoslavia and Finland.